Cozy, the company that makes renting easy for everyone, announced Cozy Credit Reports as a result of its collaboration with Experian, the leading global information services company. Cozy Credit Reports marks a true advancement in the the security and privacy of credit reports, as well as how credit data is purchased, controlled and used in the residential rental process by leveraging the Experian ConnectSM platform. With Cozy Credit Reports renters never have to share their Social Security Number with a potential landlord again. Application fees are a thing of the past with Cozy Credit Reports. If a Cozy landlord ever requires a credit report as part of the application, the renter runs their own report, receives the results and can choose to share them with the potential landlord. If a landlord doesn’t require a credit report, there’s nothing to pay. All Cozy landlords are required to verify their identity to see a tenant’s credit report. One of the largest burdens for landlords is handling, storing and disposing of sensitive tenant information during and after the application process. Cozy Credit Reports alleviate that burden and save time, hassle and money. 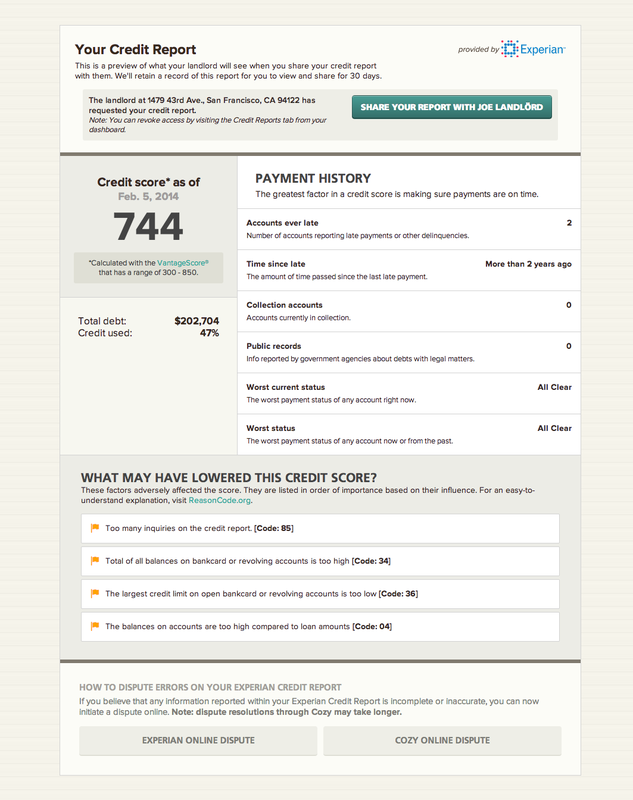 At the click of a button, a landlord can request a prospective tenant’s credit report. The renter pays for his or her own credit report, is instantly identity verified by Experian , and maintains control of his or her sensitive information. Once the tenant shares the report with the landlord, the credit data the landlord needs for prospective tenants comes directly from Experian in real time , and is the most accurate, up-to-date data in the industry. All Cozy landlords are required to verify their identity before viewing a tenant’s credit report. Regarding the collaboration, Cozy CEO Gino Zahnd said, “We’ve been working with Experian for 18 months to completely rethink how the rental application process should work. With our design leadership, they have been an incredibly supportive development partner. The Experian Connect team understands the important role credit plays in this industry and is providing a new way to empower both landlords and renters. 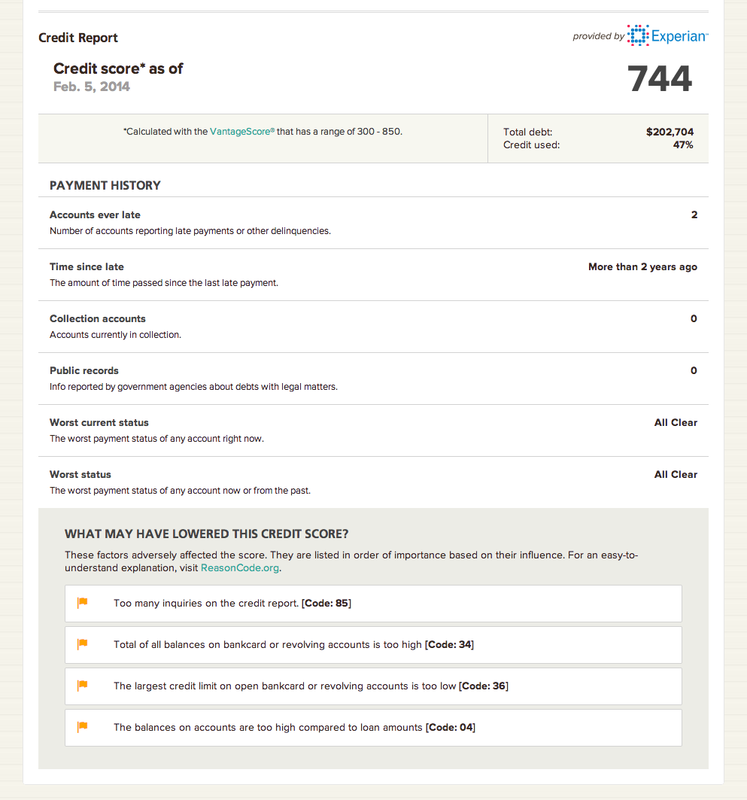 With Cozy Credit Reports, this is a significant step forward for Cozy and for the Experian Connect platform, which is powering Cozy’s smoother and more efficient process. Founded in March 2012 and based in Portland, Oregon, Cozy’s mission is to radically change the rental real estate experience with a focus on beautifully designed products, transparency, privacy, and total control of one’s personal information.